Pairing agriculture and automobiles is nothing new to Ford. In the mid 1920’s, they began making several parts (primarily the steering wheels) with “Fordite”, a unique mixture of wheat straw, silica, rubber, and other compounds that were used to reduce wood consumption. By 1937, Ford was producing 300,000 gallons of soy oil a year for use in their car enamels. In 1941, due to metal shortages during WWII, Henry Ford developed a plastic-bodied prototype “Soybean Car” using soy, wheat, rami, and hemp flax. Although this project was soon dismissed, it was always Ford’s dream that farmers and automakers would eventually become manufacturing partners. Due to the fluctuating costs of oil and increasing levels of greenhouse gases, Ford has been re-exploring the use of alternative materials in manufacturing. Many of the materials used by Ford for manufacturing are waste or by products of the food industry like rice and oat hulls. Presently Ford features nine sustainable materials in their production vehicles– soy, wheat, rice, castor, kenaf (hibiscus), tree cellulose, jute, and coconut. Since 2008 soy foam has been one of Ford’s crowning achievements—reducing the use of oil by more than 3 million pounds a year and reducing carbon dioxide emissions by 15 million pounds. This initiative, led by Debbie Mielewski, pushes manufacturing to make design decisions to create lighter, cheaper, and more-sustainable vehicles that also yield a greater number of recyclable or reclaimable parts and materials. General Motors manufactures around 9.9 million cars a year and has a creative materials reuse program that reuses metal pieces, worn tires, and the packaging of supplies. A major reuse project occurred in 2010 during the Deepwater Horizon oil spill in the Gulf of Mexico, where more than 2,550 miles of oil-soaked booms were recycled into vehicle parts. This recycling project prevented old booms from going to landfills and creating a secondary environmental impact of the oil spill. GM products have also been re-purposed as heating and cooling products, garden planters, and even wildlife refuge habitats. The zero-waste mindset at GM diverts 100% of waste from landfills in Canada, Mexico, and South America. Currently GM has a total of 142 landfill free facilities and generated $2.5 billion in revenue between 2007 and 2010 through various recycling activities. The corporation’s total elimination of waste is having an immediate impact on carbon dioxide emissions as well. During 2015, about 8.9 million metric tons of carbon dioxide-equivalent emissions were prevented from entering the atmosphere because of its reuse and recycling programs. Toyota Motor Corporation has created the “Toyota Environmental Challenge 2050” to reduce environmental impact and to aim for “Challenge to Zero and Beyond.” In continuing its commitment to address environmental issues, Toyota has reached more than 10 million cumulative units of hybrid vehicle sales globally, including plug-in hybrids. It is estimated that Toyota’s hybrid technology has helped save more than 7.66 billion gallons of gasoline worldwide and resulted in nearly 77 million fewer tons of CO2 emissions, since 1997 when Prius first became available in Japan. In late 2015, Toyota introduced the Mirai fuel cell electric vehicle that provides over 300 miles of driving range, a refuelling time of around five minutes, and the only tailpipe emission is water. The Mirai was introduced in Japan, followed by Europe and California in 2016. Toyota has also been a recognized as a 12th consecutive Energy Star Partner of the Year for the Sustained Excellence Award. Since 2002, Toyota has saved more than 16 billion kWh of electricity and a realized cost savings of $640 million across its 14 North American manufacturing sites. Other Toyota initiatives for the Toyota Environmental 2050 include establishment of an environmental management system, reduction of greenhouse gas emissions, and the management of chemical substances. Toyota’s goal is not just to contribute to keeping global warming below 2°C through zero carbon dioxide emissions, but to accelerate initiatives aiming for a positive impact on the Earth and society. The first car manufacturer to disclose its greenhouse gas (GHG) emissions from its business operations and customer use of its products is Honda. The estimates of the company’s emissions were calculated according to the Greenhouse Gas Protocol of the World Business Council for Sustainable Development. Honda has also announced it has invested $400 million to this year modernize the Alliston manufacturing plant to reduce its greenhouse gas production by half. In 1998, Honda was the first—and only—automaker to mass-produce a passenger car that ran on natural gas, called the Civic GX. Then, 2 years later, they were also the first (in North America) to introduce a low-emissions hybrid, called the Insight. These manufacturing advances are reflected in the development process, as Honda claims its products are to be 99% recyclable at end-of-life. Recycled or natural materials like sugar cane are used in the manufacturing materials of the Honda Clarity’s instrument panel, as well as the sun visors, roof lining, seat upholstery, step garnish, and the ultra-suede trim on the Touring version. In line with their main goals, Honda has promised to make every effort to contribute to the preservation of human health and the global environment within each phase of its corporate activity. The automotive industry is addressing pressing environmental issues of carbon dioxide emissions, waste, and fossil fuel dependence. Key strategies for global sustainability between automotive companies are taking shape in innovative ways. From Ford utilizing sustainable materials from plants to General Motors reusing oil booms for manufacturing, automotive manufacturers are showing that sustainable solutions are good for business and the environment. 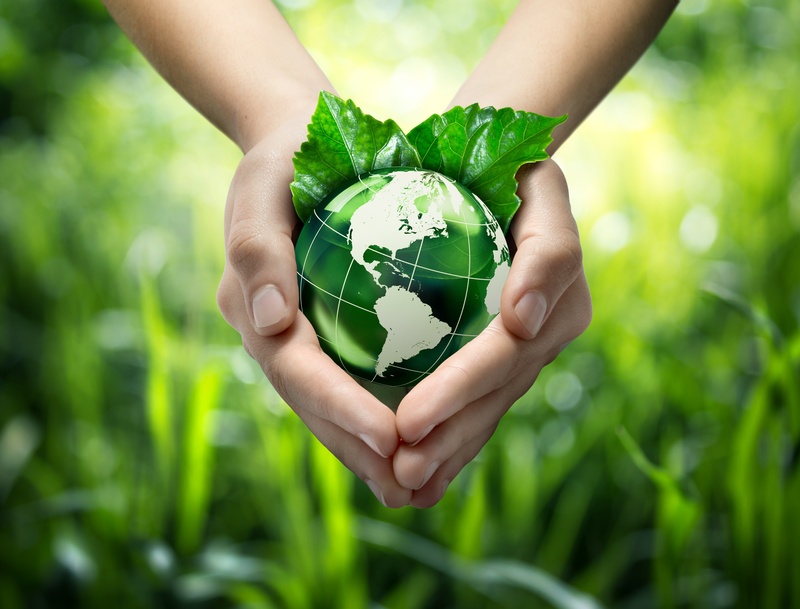 Delivering insights into your environmental sustainability is key. ERA’s software lets you comprehensively report and drill into the data already being collected for regulatory reporting. Delivering key insights across all departments can represent a massive benefit. Reports can also be customized and custom built, meeting any internal or specialized compliance need for your business. Dynamic reports from ERA break down entire complex processes into simple- all without compromising accuracy. Streamline the time spent calculating your energy usage and waste emissions.